Near the end of 1922, the Azerbaijan Trade Unions joined the physical training and sports activities. This organization has created on its own line the sports associations, assisted the establishment of material-technical base of sport in the republic. Besides to competitions at different kinds of sports the other complex sports tournaments were also organized here. For example, it is very interesting fact that in 1925 the competition under the name of Olympic Games was organized in republic. According to the program of this Olympic Games the competitions of various kinds of athletics were included. This allowed the creation of the great interest on the Olympic Games. After the independence the Azerbaijan National Olympic Committee was established in 1992. Azerbaijan National Olympic Committee (AzMOK) is an independent non-governmental organization of the legal person status established under the Olympic Charter, laws of the Azerbaijan Republic, laws on enterprises and public associations and registered by the Ministry of Justice of Azerbaijan Republic and the Statute of which was accepted by the International Olympic Committee. The same year Azerbaijan was not able to be represented at XXV Summer Olympic Games in Barcelona as an independent state. Because until the establishment of the Committee and being recognized by the International Olympic Committee the licensing competitions were finished already. This time, five sportsmen of the country had to participate at the Olympic Games in the structure of the United team of the Commonwealth of Independent States. However, the Barcelona Games opened a new stage in the Olympic history of Azerbaijan. At these games Azerbaijani flag was hoisted and the national anthem was played. After the Barcelona Games the Olympic Committee expanded its activities, and actively joined the international Olympic Movement. It is known that the Olympic Movement is not limited only to the participation in the Olympic Games. Various measures have been implemented in the country in connection with the Olympic Movement. In 1994, in order to study the state of the propagation of the Olympic Movement in Azerbaijan, to become familiar with the activity of the National Olympic Committee the president of the International Olympic Committee Juan Antonio the Samaranch, the president of the Association of National Olympic Committees Mario Vaskes Rana, president of the European Olympic Committee, Chuck Rogue visited Baku. In general, between the years 1992-1997 activity of the Azerbaijan National Olympic Committee, which should be noted, are participation at the European Teenagers Olympic Days, International Race Days in Baku. The most important event to be noted for that period was Azerbaijan\'s participation in 1996 as an independent state of in the Olympic Games for the first time. The order for preparation, training under state control, strengthening care and attention by the government to the athletes gave its fruits at the games. Azerbaijan was represented by 23 athletes in Atlanta and we won one silver medal. It can be divided in two 5-year periods in time but very different for volume of work done. The chronology of the work done proves it. In the first period Olympic Movement was not studied and its role at international level was not evaluated and no initiative was shown. The activity was limited just in participation at international and Olympic Committees of continental events. 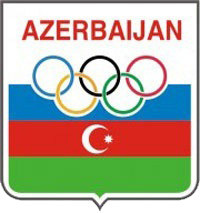 Not only outside the country, even in the republic existence of the Azerbaijan National Olympic Committee was not felt. In 1998, Azerbaijan joined the Winter Olympic Games for the first time. In Nagno, Japan at XVIII Winter Olympic Games our republic was represented at four competitions with 5 athletes. Azerbaijani sportsmen won 2 gold, 1 bronze medals at the Olympic Games in Sydney in 2000. Among 199 countries Azerbaijan was 34th per team and 23rd among European countries. This was a great success in the history of the country\'s Olympic movement. In 2002, Azerbaijan was participant of the Winter Olympic Games for the second time. In the competition held in Salt Lake City, USA, 3 athletes participated in these games. Finally, in the Olympic Games held in Athens in August 2004 Azerbaijan for the first time in the history of sport won 5 medals. In 2008 at the Olympic Games held in China, Azerbaijan won 1 gold, 2 silver and 4 bronze medals. country from International official competitions. Today sport is going to masses rapidly.